Heavy vehicle operators now have access to their fleet’s registration details on one dedicated web-based platform. 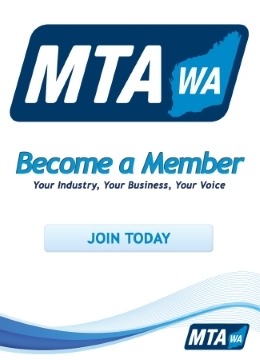 The MTA WA has received a report of an attempted car-jacking from a franchise dealer, and members are urged to take pre-cautionary measures to prevent any similar types of offences. The Personal Property Securities Register (PPSR) has been updated to provide consumers and industry with information about whether a car is affected by the compulsory Takata Airbag Recall. Recent changes have been made to the Federal Vehicle Manufacturing, Repair, Services and Retail Award 2010 in regard to Casual Employment Minimum Engagement. Recent changes have been made to the Clerks- Private Sector Award 2010 in regard to Casual and Part-time Employment Request for Casual Conversion. Lovells Group has responded to AAAA, contrasting the extensive GCM rating process that they undertake to prove the safety of their upgrades against AAAA’s claim that GCM ratings can be nominated “without the requirement for any testing or evidence”. With the festive season nearly upon us, employers and employees can be caught up in events that may not appear work-related on the surface, but which turn out to have major implications for employment relationships.